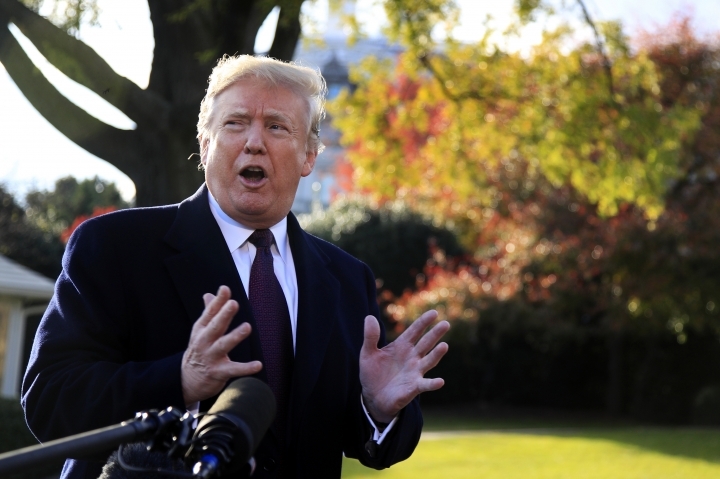 President Donald Trump is thanking Saudi Arabia for plunging oil prices amid criticism over his decision not to further punish the kingdom for the killing of journalist Jamal Khashoggi (jah-MAHL' khahr-SHOHK'-jee). Trump tweeted Wednesday from his Mar-a-Lago club in Florida it's "Great!" oil prices are getting lower and it's "Like a big Tax Cut for America and the World." The international crude benchmark has fallen under $65 per barrel from a four-year high of more than $86 in October as the U.S., Saudi Arabia and Russia have increased output. Trump writes, "Thank you to Saudi Arabia, but let's go lower!" 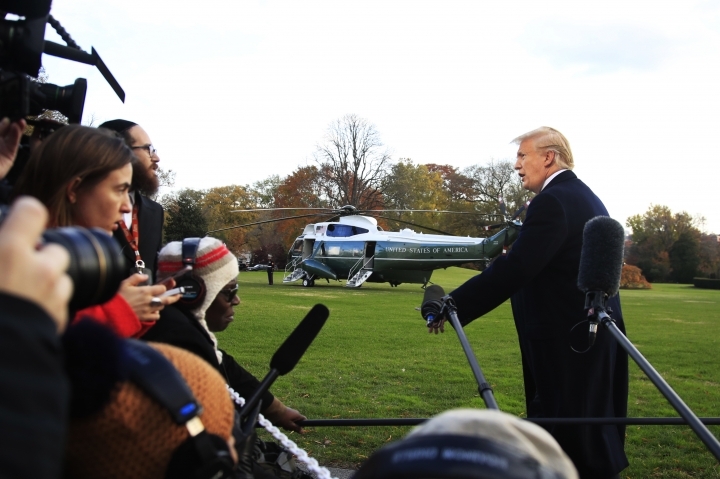 Trump made clear Tuesday he believes the benefits of good relations with the Saudis outweigh the possibility the kingdom's crown prince ordered Khashoggi's killing in Turkey. Critics say Trump is ignoring human rights. 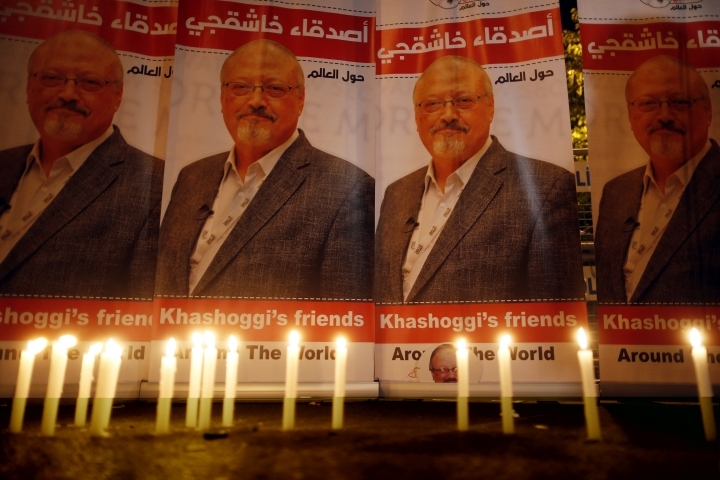 Saudi prosecutors say agents sent to Istanbul dismembered Khashoggi's body. 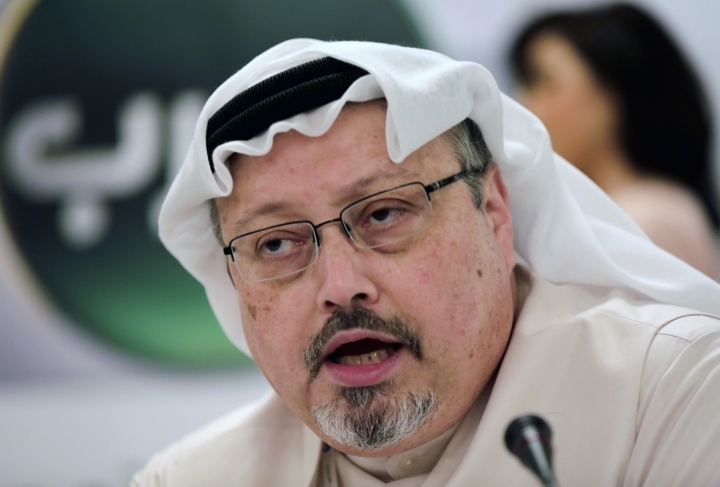 Turkey's foreign minister says the killing of Saudi journalist Jamal Khashoggi should not be covered up for the sake of maintaining trade ties with Saudi Arabia. Mevlut Cavusoglu also told Turkish journalists during a visit to Washington that Saudi Arabia's cooperation over the investigation into the killing is not "at the desired level." He added that Turkey would take formal steps to seek an international investigation if it reaches an "impasse" with Riyadh. His comments came Tuesday after U.S. President Donald Trump made clear that the benefits of good relations with Saudi Arabia outweigh the possibility that Saudi Crown Prince Mohammed bin Salman ordered the killing. Cavusoglu said: "This is a humanitarian issue. It concerns a murder. It is not possible to say 'our trade will increase, let's cover this up, let's ignore it.'" Iran's foreign minister has mocked President Donald Trump's announcement that he will not punish the Saudi leadership for the killing of journalist Jamal Khashoggi inside the kingdom's Istanbul consulate last month. In a tweet sent late Tuesday, Mohammad Javad Zarif noted that Trump "bizarrely devotes the FIRST paragraph of his shameful statement on Saudi atrocities to accuse IRAN of every sort of malfeasance he can think of." He went on to joke that "perhaps we're also responsible for the California fires, because we didn't help rake the forests— just like the Finns do?" He appeared to be referring to recent remarks in which Trump suggested raking the forest floor prevented fires in Finland and would have helped to prevent California's devastating wildfires. Trump has adopted a hardline stance on Iran since taking office, withdrawing from the landmark 2015 nuclear accord and imposing tough sanctions against the country. The White House views Saudi Arabia as a key partner in confronting Iran. President Donald Trump is defying calls from U.S. lawmakers to punish the Saudi crown prince for the slaying of U.S.-based columnist Jamal Khashoggi. Trump made clear Tuesday that the benefits of good relations with the kingdom outweigh the possibility that Saudi Crown Prince Mohammed bin Salman ordered the killing. Republican Sen. Rand Paul of Kentucky says it's a sign of weakness not to stand up to Saudi Arabia. Republican Lindsey Graham, the South Carolina senator who is close to Trump, also disagreed with the president, saying America must not lose its "moral voice" on the international stage.